Wilfrid Laurier University Press, 9781771120661, 276pp. Annette Libeskind Berkovits thought her attempt to have her father record his life's story failed. But in 2004, three years after her father's death, she was going through his things and found a box of tapes--several years' worth--with his spectacular life, triumphs, and tragedies told one last time in his baritone voice. Annette Libeskind Berkovits was born in Kyrgyzstan and grew up in postwar Poland and the fledgling state of Israel before coming to America at age sixteen. In her three-decade career with the Wildlife Conservation Society in New York, she spearheaded the institution's nationwide and worldwide science education programs. Her achievements include the first-ever agreement to bring environmental education to China's schools. The National Science Foundation has recognized her outstanding leadership in the field. “This is a beautifully written saga of a Jewish family before, during and after World War II. The Holocaust must never be forgotten. 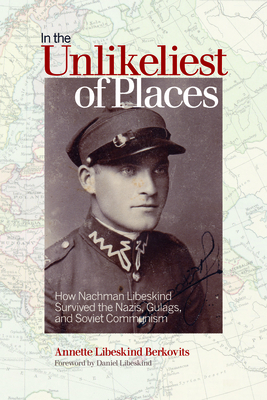 The historical value of survivor testimonies is important to preserving the collective memory of humanity.” - Hanna Davidson Pankowsky, author of "East of the Storm: Outrunning the Holocaust in Russia"
"This is a beautifully written saga of a Jewish family before, during and after World War II. The Holocaust must never be forgotten. The historical value of survivor testimonies is important to preserving the collective memory of humanity." - Hanna Davidson Pankowsky, author of "East of the Storm: Outrunning the Holocaust in Russia"